If you haven't seen the news yet - or the Facebook feed where I apparently can't shut up about it - Nintendo announced a new 3DS, called the New 3DS. And you thought I was crazy to liken Nintendo to Apple. The system launches October 11th in Japan, with the European release to hit "sometime" in 2015 (it's assumed that NA will get it in 2015, as well). 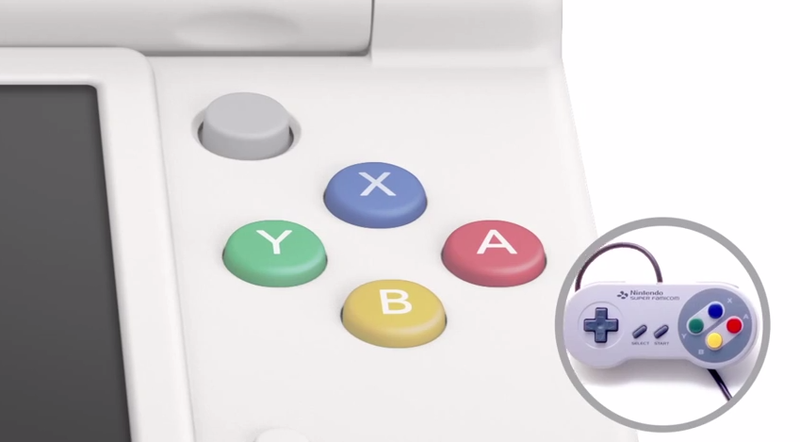 The regular 3DS and 3DS XL (LL in Japan) are both getting major revisions: a C-Stick nestled above the face buttons on the right, ZL/ZR buttons horizontally aligned with the exiting L/R buttons, micro SD card support, enhanced 3D that follows your face to reduce blur and enhance the "sweet spot" to view 3D, an ambient light sensor for auto-brightness, colored face buttons that mimic the Super Famicom controller (as opposed to the purple SNES buttons), a beefed-up CPU, and built-in NFC support into the lower touch screen. Yes, you read that right: four shoulder buttons and a second analogue stick. Just...don't get too excited about the C-Stick. It is an itty-bitty nub that sits in the gap next to the touch screen, the hinge, and the Y/X buttons. Nintendo has even gone as far as comparing it to the GameCube's own C-Stick. The hardware has received a massive upgrade, there's no denying that. All of the upgrades Nintendo has packed into this is making this an upgrade worth getting, especially since there's the possibility that newer games will only work on the New 3DS. Case in point, Xenoblade Chronicles. Yes, the Wii JRPG will get re-released on the system, and it will only work on the New 3DS. It's not clear if they're going to use special packaging on the games to identify this, similar to how the DSi games worked, or misshape the cartridges again (much like the boot heel the current 3DS cartridges have) so they only fit in the New 3DS. 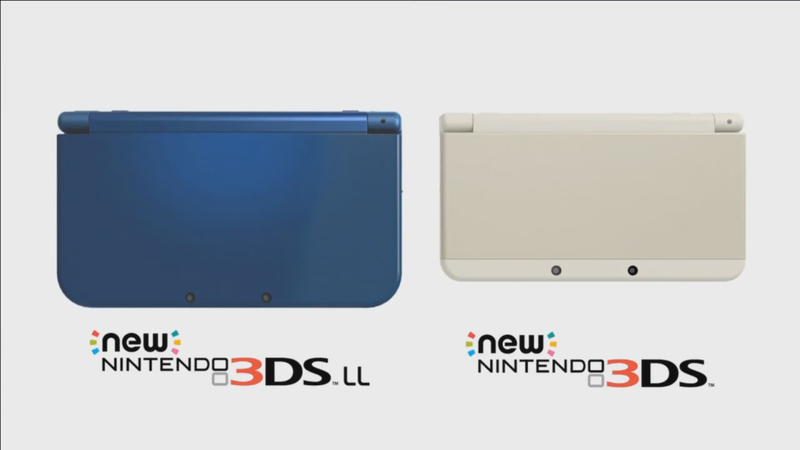 One thing is clear, though: the New 3DS has massive potential. Forgive the terrible MS Paint job. Look at the starburst around "new" and "amiibo". Same exact font, same colors, same thing. Amiibo was originally announced back at E3 2014 for use only for the Wii U GamePad with that devices own NFC tech. You'd be able to use those characters in junction with the new Super Smash Bros. game. Nintendo promised future support with over NFC-enabled games. The New 3DS was announced with NFC support, which has it's own version of Super Smash Bros. coming out, the "new" logo is identical to the amiibo logo, and you can use those characters on the New 3DS version (the current models will need an accessory to use them). 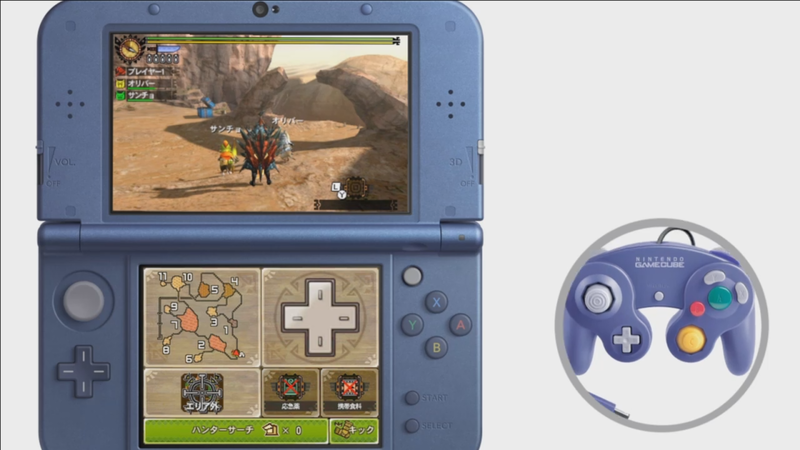 The New 3DS could be a companion controller to the Wii U for additional players. All images from Kotaku, except the amiibo logo, which is from el33tonline.com.